There's more life underneath the restless surface of the literary classic than this cinematic portrayal suggests. 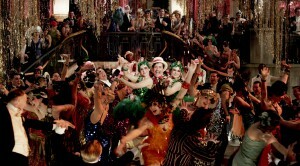 With a running time of 142 minutes and a scrupulous attending to the material details of F. Scott Fitzgerald’s original 1925 novel, this year’s The Great Gatsby immerses the viewer in the dreamlike spectacular of the 1920s New York party scene and, at points, leaves them to wonder how long this can be carried on for. Delivered from the imagination of Baz Lurhmann (Romeo & Juliet, Moulin Rouge), Leonardo DiCaprio in the eponymous role, Tobey Maguire as narrator Nick Carraway and Carey Mulligan as the flighty Daisy Buchanan bring the book to life under a close-to-genius use of contemporary music. At its root, the Gatsby storyline is not a complex one, but it does cradle carefully the subtleties that make it brilliant. Few of these subtleties manage to shine through the thick layer of glitter painted across the film’s surface. But oh, how that surface dazzles. The film cannot be faulted for its dedication to the aesthetic. Lavish, glamorous and fantastical, computer generation is favoured over realistic portrayal. This is fitting, as the culture of Fitzgerald’s novel is equally absurd. Underneath the vitality of the continuous party, there’s a certain frailty to human interactions that is caught finely, as moments of anticipation are ruined by the intrusion of a ringing phone or the crass laugh of a passerby, and important things go unsaid for the sake of saving face. And it is these saved faces that comprise the atmosphere. Minor characters are barely characters at all, just faces in a painting to create a scene that everyone wants to be a part of. People are there for each other’s entertainment, not to form relationships with. The stylised makeup and flapper fashions enforce this homogeneity, making it difficult to tell one sleek bob and linered eyelid from the next. 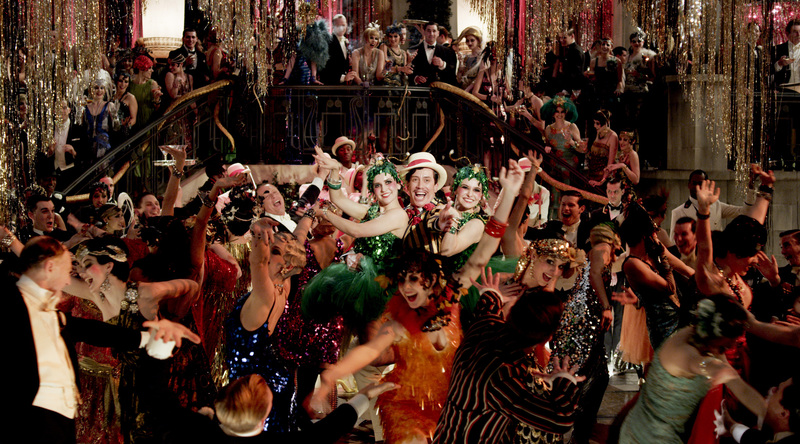 In a story where everyone else is merely background noise, Jay Gatsby’s obsession with one of the crowd reveals the delusion of his inner world: “Can’t repeat the past? Why of course you can, old sport!”. 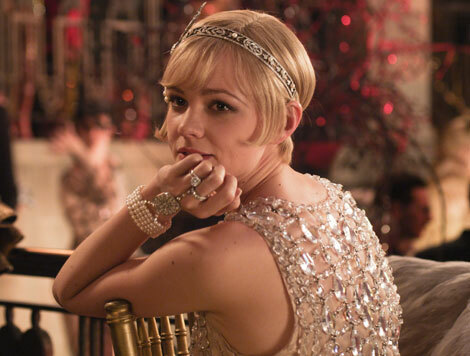 Gatsby has imagined for himself the perfect life, which requires Daisy Buchanan (Mulligan) to complete it. Convinced by an unfounded hope that this will become a reality, his present life across the bay from her hangs on this illusion. This craving for what he cannot have turns him against anyone who stands in the way of his imagined perfect life, breaking him out of his portentous serenity and flustering his manners in a social scene where real relationship and the grit of life is glossed over and ignored. He so desires what he does not have that he fails to live beyond the surface in the present, and is frustrated when his control over what he’s convinced will be his future slips forever from his grasp. Unlike Lurhmann, Fitzgerald ultimately shatters this illusion of the good life by revealing Gatsby’s contrived identity in the meeting of his elderly father and the narrator. Setting him in a familial context makes Gatsby’s pretensions absurd and paint him cold and fraudulent. The film sadly lacks anything like this, so Gatsby just becomes a romanticised martyr, a fool for ‘love’ who suffers an unlucky fate. Lessons on the value of true human relationship are lost, and the party simply fades away.